It is another branch of Bunwin Boutique Hotel! Escape to a tropical retreat on the serene and secluded with mesmerizing views of local village and unpolluted environment. 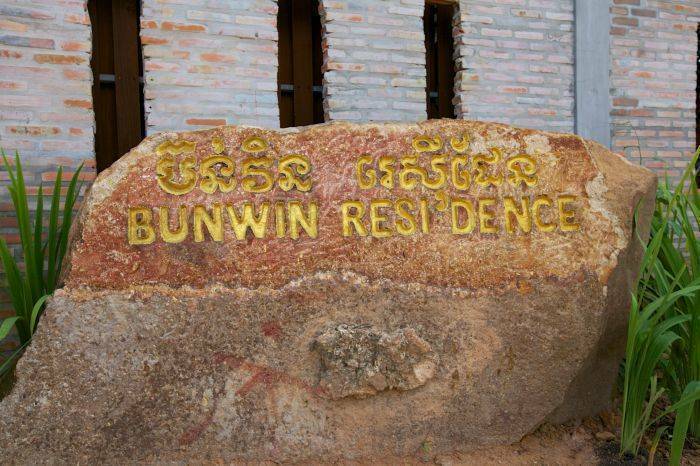 Bunwin Residence rurally located 4km out of city – Old Market Area- in order to make your stay more tranquil and private. 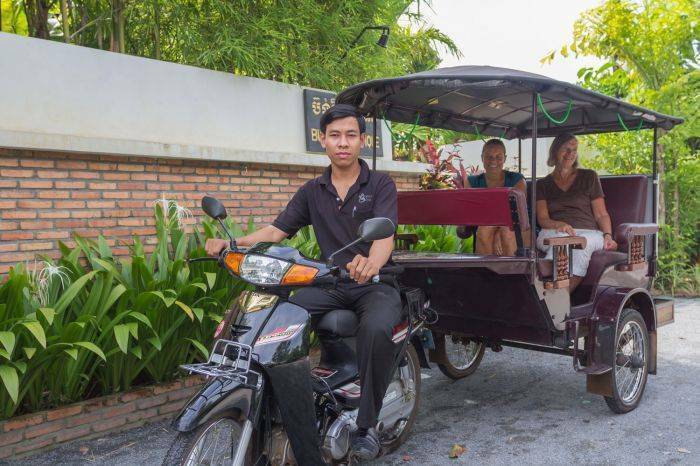 With its location, resident will directly experience with friendly Cambodian villagers surrounded. Rurally resided but it is easily access to Airport, Bus Station and Tourist Attractions. 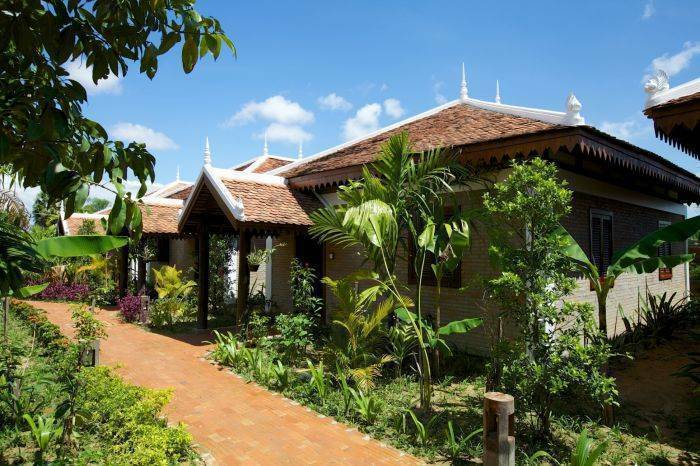 Private Villa Double: Surrounded by tropical garden, these Villas are configured king sized bed ensure the maximum relaxation of double occupancy. Each Villa can accommodate an extra bed are perfect for family getaway. 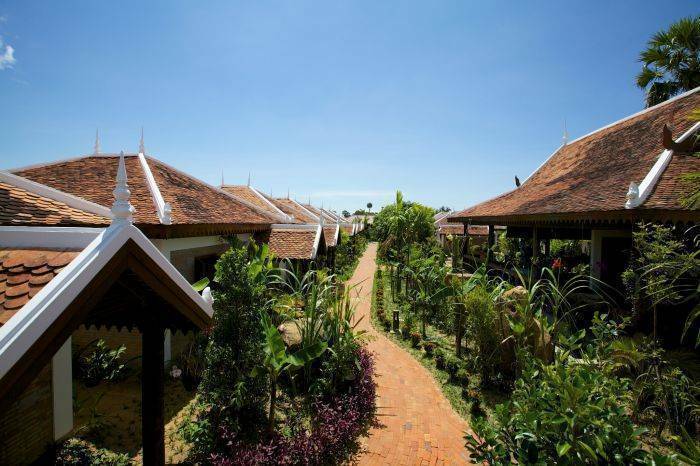 Private Villa Twin:Leafy garden surrounded, the Villas are configured two separate beds are perfect for friend occupancy. 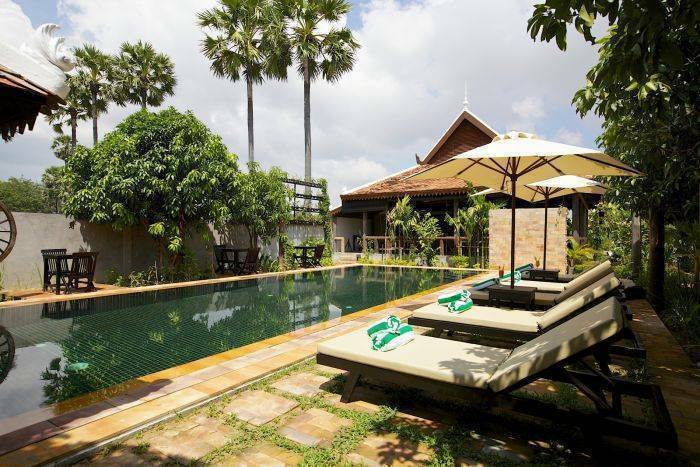 Bunwin Residences’ Villa offer comfortable and private accommodation just few steps from the elegant swimming pool – the perfect way to refresh after Siem Reap exploration. Private Villa Triple: Located in the greenery garden and just few steps from swimming pool, three separate bed configuration villa is the chic accommodation for friend and family – make yourself at home with Bunwin Residence.